Welcome to Choral Activities at Texas A&M University. The Choral Activities Office (CAO) is home to three choirs: The Singing Cadets, The Women’s Chorus, and The Century Singers. 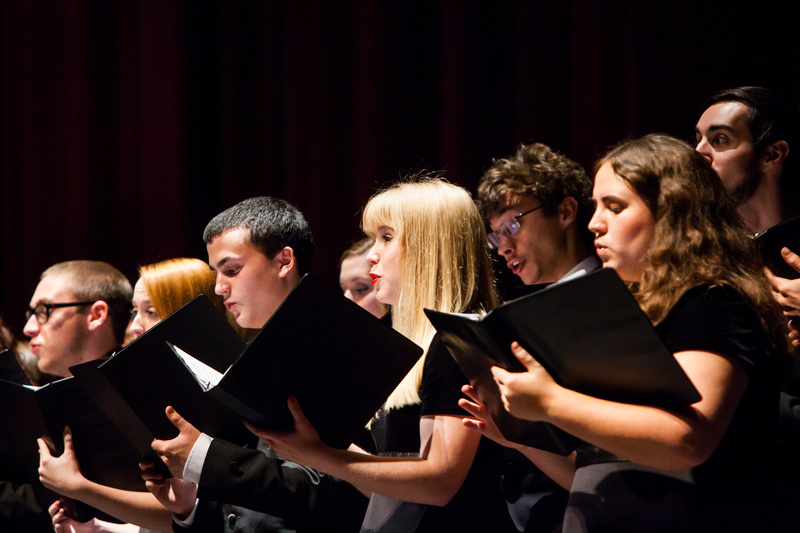 Each of the choirs also contains a small ensemble within the group; these small ensembles perform at the annual concerts, and they also frequently perform at other local events throughout the year. Here at Choral Activities, we strive for musical excellence and encourage a fun, social, and musical atmosphere for students. We’re always looking for talented and hard-working singers, so if you’re a student, please check us out and audition!